Want more information about effective curation? You’ve come to the right place! Download our free whitepaper! 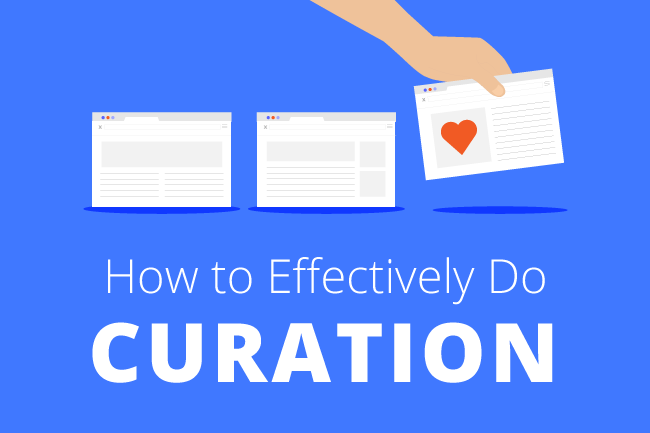 Curation is a crucial part of the content marketing process. The act of sharing your content and content of your peers is a lost art that is often skipped over. After all, why would anyone need to spend time on curation when bots and algorithms automatically share content for you? Fast rarely means good. Properly curated content takes time and a personal investment for a company. Indeed, curation is one of the most overlooked aspects of content marketing, but why? First, looking at the social media performance of work that isn’t your own is not as compelling for marketers. Regardless of the source, marketers tend to look at the traffic generated by their own work instead of focusing on creating a landscape of expertise. Next, curation typically doesn’t have the same ROI (return on investment) as original content creation, especially for brands used to immediate conversions with everything posted. 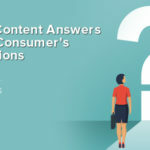 However, successful content curation is an important step in relationship building, marketing to influencers, and lead generation. However, it’s never too late to curate content successfully. We created the whitepaper “How To Effectively Do Curation” as a tool for learning about this underappreciated process. By reading this guide, you’ll discover the basics for curating content yourself and understand what sets great curators apart from average ones. All of our whitepapers are free to download in our resource section. We’re building a library of tools and educational materials for content marketers looking to expand their strategies. You can also get your copy of this whitepaper by downloading it today. Who Will Benefit From the Information? Marketers treat curation like a New Year’s Eve diet. Every once in a while, someone sets the goal to launch a curation strategy within the company. The effort goes strong for several weeks until work picks up and the social media accounts fall from being a priority. Don’t take this fall to mean that brands don’t want to curate; curation often loses its priority against more pressing matters. Our whitepaper is for anyone who started a curation strategy and couldn’t see that strategy through to completion. We offer tips for marketers who want to start small and slowly build their audience, and we want to help those who appreciate detailed strategies when approaching a new challenge. 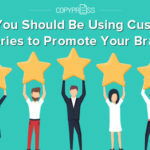 Your audience is looking for curated content. More than 30 percent of Americans get their headlines from social media every day, and 41 percent of them repost content they find interesting. Not only are they interested in curated content, but they’re also doing curation themselves. 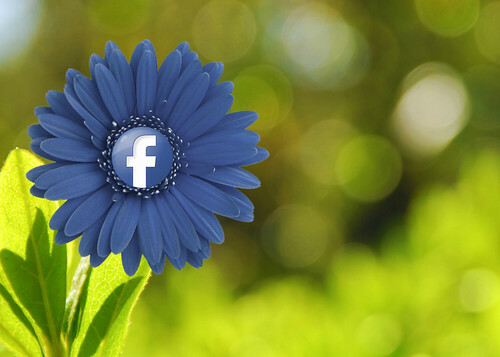 Small businesses that do curation right can expand their social media footprint and grow faster than they thought they could, while medium to large businesses can build relationships with media and industry peers that can pay off during a product release. In short, everyone is curating, and you can, too. We start by reviewing the principles of curation and how brands can benefit from using this marketing tactic. Throughout the guide, we include case studies of brands that curate well, from National Geographic to the New York Public Library. These brands can be your heroes and mentors to study what they do and how they make curation work for them. After the whys and the whos, we dive into the how. This step is often where brands get lost, as they don’t know where to begin or how to commit. We created a four-step process that gets brands going and helps them get into the habit of smart curating. Similar to the process of content creation, you’ll want to pull together a team with different thoughts, concerns, and values to decide who to follow and what to curate. Make a list of industry leaders and influencers and divide these companies and people into two categories: publishers with existing relationships and those you want to pursue with relationships. Ask each person on the team to do research beforehand and create a list of five to 10 people who would be a good fit for curation. With these lists, you can start the meeting with your publishers and spend time focusing on the curation strategy. 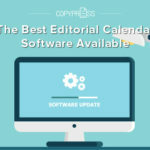 Most content marketers would be lost without their editorial calendars. If you can identify with that statement, then maintaining a strong curation strategy is as simple as incorporating curation sections into your calendar. Start by adding a few slots per week for curation posts on social media sites. Look for content around major holidays and events where you know you can find information that fits your brand. If you’re feeling brave, add a few miscellaneous spaces where you find content that day to curate and share. The goal of curation is to build relationships with industry peers, so you want to find content that they created that they will care about. Look for what publishers have written about recently, not something they wrote five years ago. You should also look for major books or projects that they’re proud of, instead of a one-off blog post with little relevance. As you look for influencers, try to find industry peers who would be willing to engage with you. For example, a fashion website’s marketing team will have better luck reaching out to bloggers and curating their tutorials instead of chasing after Kim Kardashian. Curators can go wrong when they want to share and post content, but rarely want to listen. 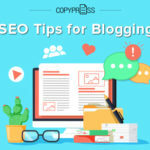 Set aside time to respond to comments, read the comments of other bloggers, and become better engaged in the community. No one wants to talk to people who never listen, and the same goes for online brands. We hope you enjoy our whitepaper How to Effectively Do Curation and look forward to seeing you learn and grow from this information. If you like what you read, keep coming back. 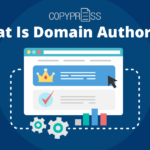 Our CopyPress resource section is constantly growing with new tools for building your marketing arsenal.